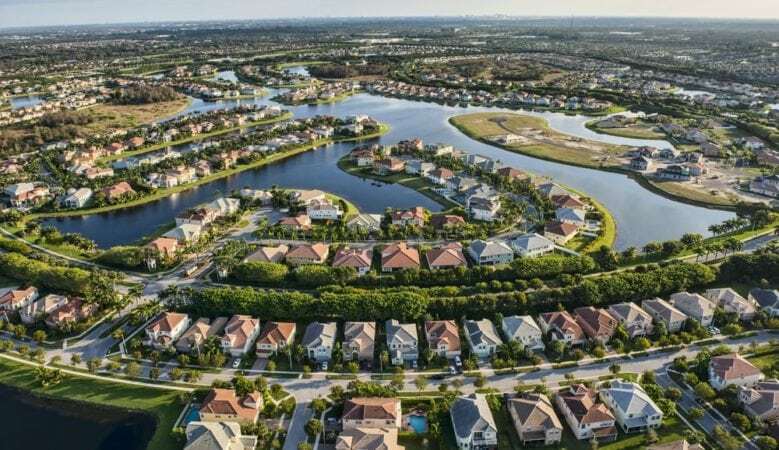 Florida and Las Vegas are the best housing markets in the United State for first time buyers, with three of the six best in Florida, new research shows. First time buyers looking for an affordable home without steep competition will have the best options in Tampa, Florida, according to the latest real estate market study from property firm Zillow. It is the second year in a row that Tampa has come out best of the Zillow list which ranks the 35 largest housing markets based on where first time buyers should have the most success moving into a home with a strong forecasted appreciation. Las Vegas is the second best market, followed by Phoenix, Atlanta, Orlando, Miami, Detroit, Dallas, Nashville and Charlotte in North Carolina. The most challenging market for first time buyers in San Francisco, followed by Seattle, Washington DC, Los Angeles, Sacramento, Minneapolis, Denver, San Diego, San Jose and Boston. The research also found that first time buyers make up 46% of all buyers, and more than six in 10 of them are Millennials. And it shows that the housing market has cooled recently but inventory is now up 1% year on year, after being down 8.7% last year. It’s the first time inventory has been up heading into the Spring market season in at least five years. In even more welcome news for first time buyers, inventory of less expensive starter homes has turned around far more, up 4.1% after being down 12.9% last year. Even with this change, there still are not enough homes for sale to meet buyer demand, and the market remains competitive. ‘The shortage of starter homes across the country is finally starting to ease, and that’s good news for would be first-time buyers who have been saving up to make the leap into homeownership,’ said Skylar Olsen, Zillow’s director of economic research. ‘Unfortunately, prices of homes in the lower third of the market have risen so much in recent years that for many households’ budgets they no longer qualify as affordable. But markets like Tampa and Las Vegas still provide plenty of bargains,’ Skylar added. The Zillow report points out that first time buyers are naturally disadvantaged compared with other buyers, because they don’t have capital from a previous home sale to help fund a down payment or keep up with bidding wars. And younger first time buyers have had less time to save for a down payment than most repeat buyers. Millennials go into the process knowing that, and help mitigate those difficulties by working harder than previous generations of home buyers, for example, they take more home tours, attend more open houses, do more research about which homes to look at and contact more agents. Younger buyers are more likely to go over their budgets to nab their first home. But those buying in the top markets in Zillow’s analysis should have a better chance of staying within budget to buy a home they love, as market trends show they are more likely to require smaller down payments and to have had prices cut.